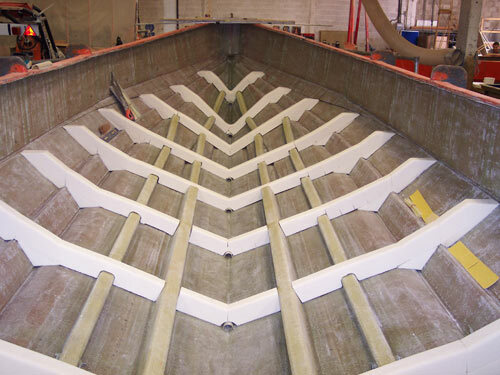 Fibreglass is an established, key component for the manufacture of boats and marine craft. We manufacture hulls, decks, cabins and parts to order. Whatever your specialised requirements and exacting specifications, we can deliver completed projects to the highest professional standards and finishing. We offer a full marine construction service with the very best resources and cost effective materials. We can augment your own production processes or undertake marine projects in their entirety. Your requirements are our priority, as are your security and safety, and environmental responsibility. This is why we build to the certification standards required for each individual project. Our marine projects are all designed to meet the most rigorous quality requirements.